It took them a little less than 4 months, but monkeys at Harvard Medical School have learned how add up simple sums, according to a new study by neurobiologists. The researchers trained three rhesus macaques to recognize symbols equal to the numbers zero to 25. They then asked the monkeys to point out which value was larger: two numbers added up or a single value. And most of the time, the monkeys got it right. When they got it wrong, it was often because the monkeys had underestimated the value of smaller number they had added up. "What they're doing is paying more attention to the big number than the little one," says study author Margaret Livingstone to Science Now. For monkeys, the ability to estimate may be the difference between life and death. "You want to be able to glance up and see how many lions are about to attack you," says David Burr, a psychologist. Math, then, becomes a survival skill. 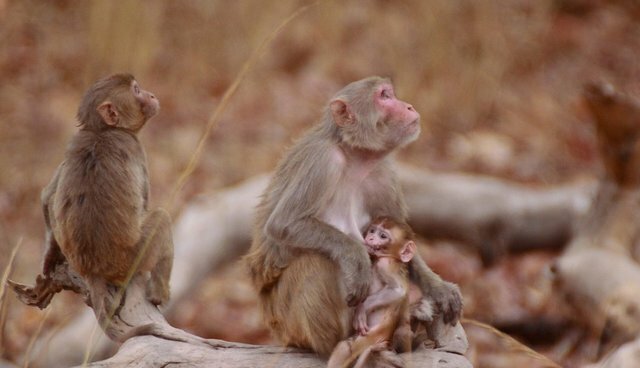 The next skill to be taught to these mathematical macaques? Multiplication, Livingstone tells LiveScience.